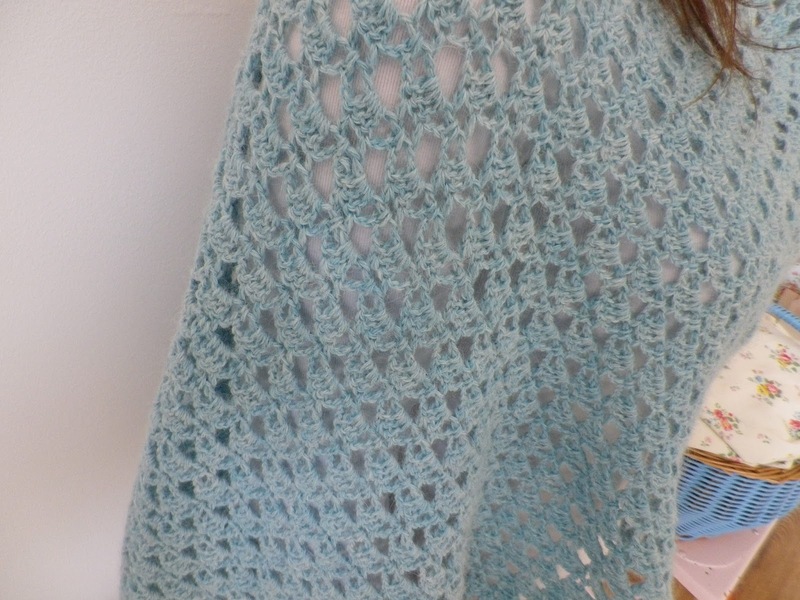 My version of this shawl may look familiar - it is exactly the same as the one shown in Simply Crochet mag. Exactly... same wool, and in the same colour. Not at all original then. 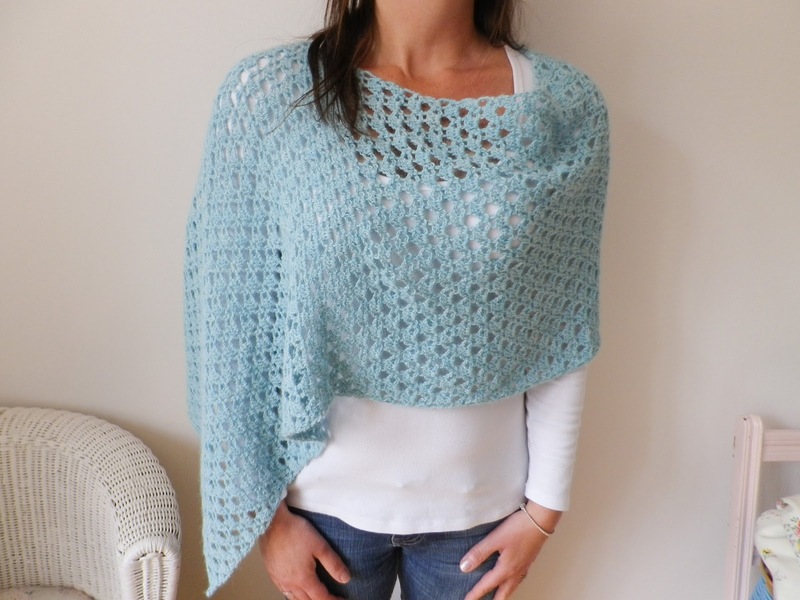 The pattern is Anniken Allis' Making Waves from Simply Crochet's issue 8. The wool used is Artesano 4ply Alpaca and it is a dream... oh so soft, and oh that colour (prettily named Anemone). Whilst the pattern may have been easy, the finishing off had me flummoxed. According to the instructions, once the finished rectangle has been blocked it is simply folded in half and then starting from the outside, the two edges are crocheted together leaving an opening big enough for your head. 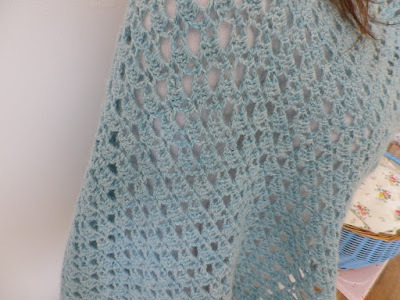 So this together with the diagram seems to suggest that on one long edge both the right and left hand sides are crocheted together from the outside edge towards the middle, leaving a hole for a head. This I did but it resulted in the most peculiar pointy bits. I could not see what to do. Thank goodness for Mr R who took one look at the photograph in the mag - not the diagram - and said that what I needed to do was fold the rectangle in half and leave the head hole next to the folded edge and then crochet the edges together along the rest of the long edge. Um, is that any clearer I wonder? Well, I shall leave my garbled instructions just in case any one out there is thinking of making this and happens to read this, which then may make some sense to them. Unlikely, but it shall stay. So strange, but almost a year after some comments have been left I have finally been notified that they are there. I must appear rather rude! Daft to reply now, but reply I shall! And I do like receiving your lovely, positive comments!